Every May, the U.S. Small Business Administration (SBA) honors those companies that make up the lifeblood of America’s economy during National Small Business Week. This year’s series of events spotlighted a diverse array of businesses across all segments, from foodservice and technology to retail and healthcare. At the same time, many large corporations use this week as a “why now” to engage an SMB audience to sell their own goods and services. And a trend that I see is in their inability to really connect and engage with SMBs based on their very specific challenges. Too often, large companies talk to small companies as if they are either consumers or younger siblings. That is a total miss. Small businesses are savvy and diverse – Understanding the unique personas across the small and midsized business segment is just as important as understanding enterprise company target personas. Deciphering and differentiating between personas will help to establish relevance, trust and ultimately brand preference. If you can’t answer the questions, “What does my target audience care about? Why? How can I help them?” then you need to find out. Persona research and development is a critical foundational element for any sound marketing strategy to reach SMBs. Understand the difference between the S and the M in SMB – Does it make sense for a software company to try to sell enterprise agreements to a company that has 50 people? No, it doesn’t. But it happens all too frequently, even at Airfoil. We receive endless calls and emails from vendors trying to sell us solutions that make no sense for our business model. Marketers often miss the boat when it comes to segmenting out the very different needs of small versus mid-sized companies. Homogenizing instead of customizing marketing messages can do a lot of harm when it comes to demonstrating you understand your prospects’ business models and the problems they work to overcome every day. And if your product or solution is relevant to your target, but the messaging is not, you’ve lost your window to establish trust from the get go. Be human – Entrepreneurs often give up a consistent and stable source of income working in other organizations before they embark on becoming their own boss. That experience can be wrought with anxiety, fear, excitement, optimism and doubt. Understand the complexity of this journey and make sure whatever you communicate shows empathy for that journey. In essence, be a human being. If people are trying to engage with you via social media, make sure to reciprocate and make meaningful connections. SMBs crave advice and insights, and making sure you’re delivering not just product messages, but prescriptive guidance across all of their pain points, will be mutually beneficial. Regardless of the time of year, SMBs are a vital segment of the American, and global, economy. For marketers to make a real connection, they must understand the reality of their potential customer’s business journey. Being helpful, consultative and more of a coach than a salesperson will go a long way in setting a foundation for partnership and mutual success. Happy connecting! 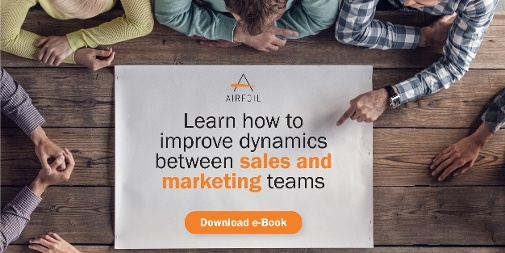 For more information on how to achieve total buyer engagement, download our new eBook below.